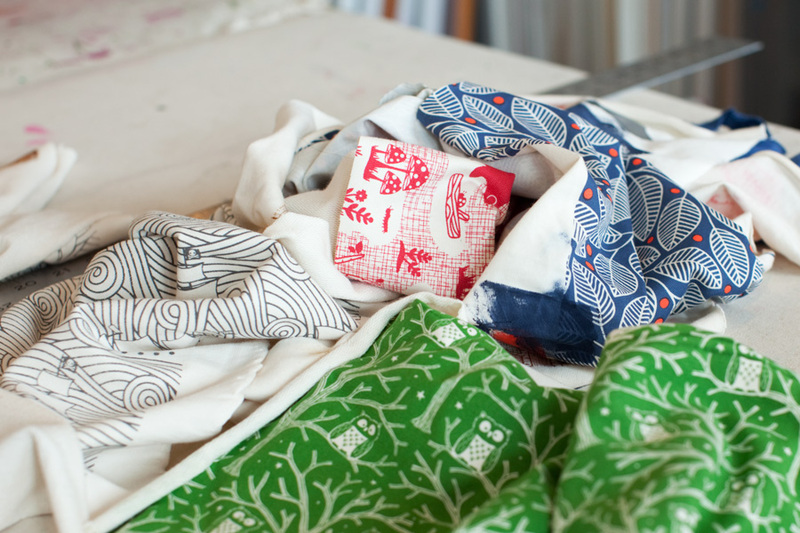 There's no shortage of fabric scraps here at Winter Water Factory, so our summer intern Pam has been cooking up some cloth-related DIY projects for the next few weeks. Our first DIY is a no-sew headband. 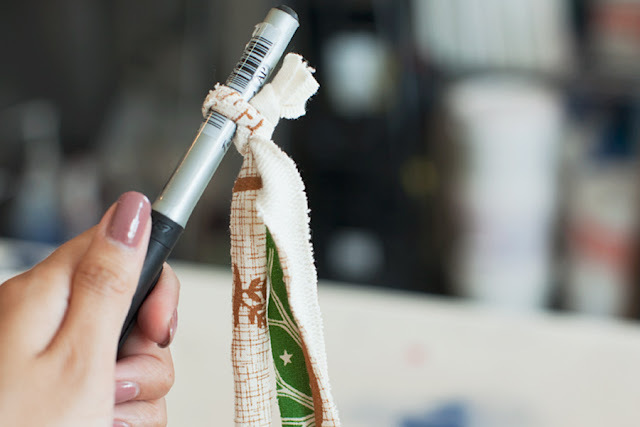 This quick and easy project takes about 10 minutes to make and is perfect for days when you're feeling crafty but running short on time (and energy). All you need are some fabric scraps (at least 24" long) and scissors. Cut three strips from the fabric about 1/2" wide. 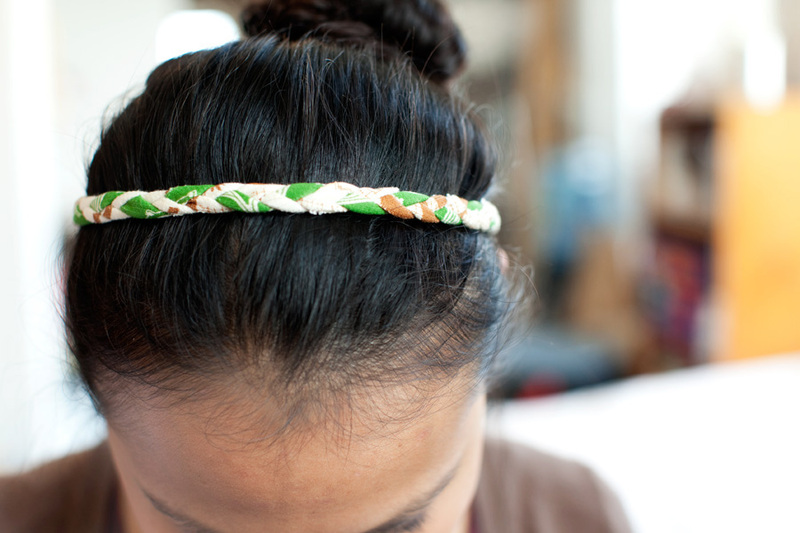 These strips can be thinner or thicker depending on how chunky you want the headband to be. 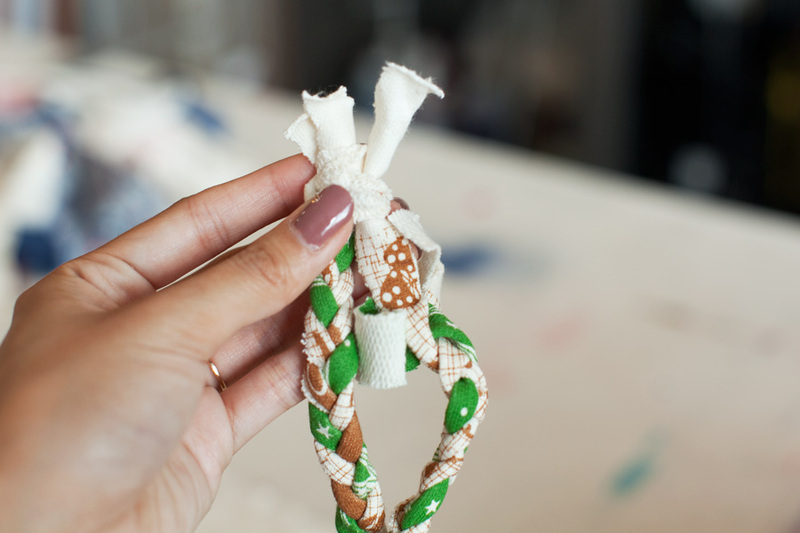 Make a knot to tie the strips together on one end, but before pulling it taut, pull one of the strips away to form a loop. 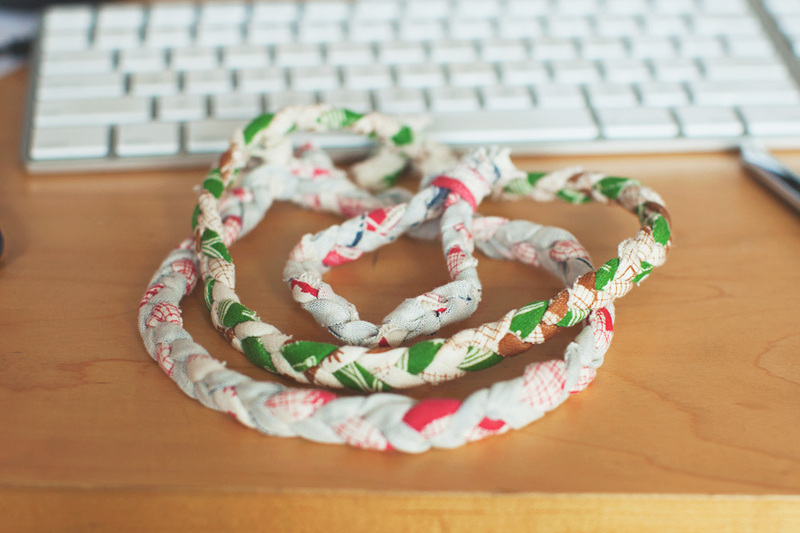 Insert a pen into the loop and tighten the knot. Clamp the strips down under something heavy and braid until 16"-18" in length, depending on the size of your head. 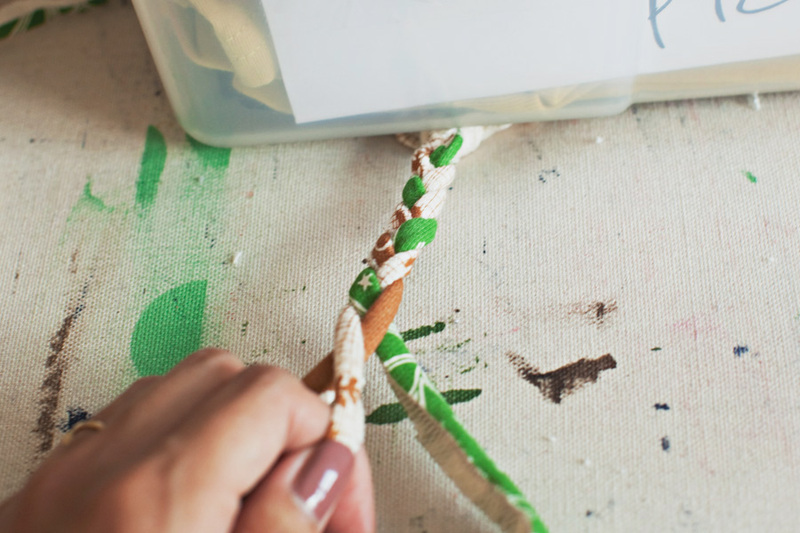 Gather the loose ends of the braid, and insert one strip into the loop on the other end. 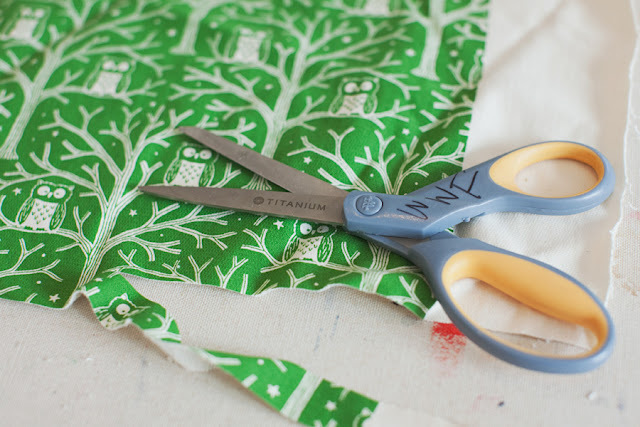 Tie all the loose ends together and trim the excess. You can also make bracelets, anklets, or necklaces using the same technique!